I LOVE this smoothie, this takes me back to when I was a child and my mum used to make us all something very similar! 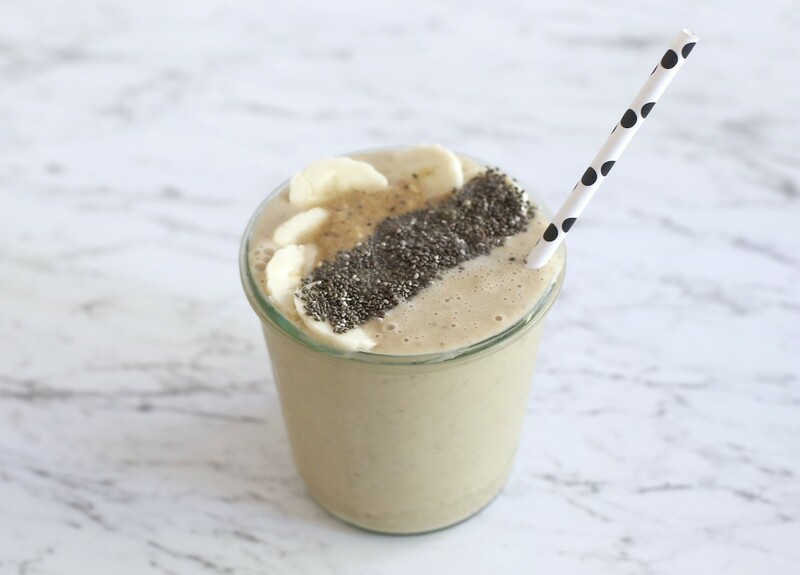 The banana, nut butter and almond milk are all a match made in heaven and will satisfy any sweet cravings you are having! Also this is so filling it will keep you going all morning! This is the perfect smoothie to have after a workout when you are hankering for something nutritious but satisfying all at the same time! Combine all of the ingredients (minus the topping) into a high speed blender, I use my beloved vitamix. Blend until smooth. Check the consistency, add more nut milk if too thick or more ice/frozen banana if too thin. Garnish with the topping ingredients. Feel free to go crazy with the toppings! What I have used is only a guide and a small example of what you could use!